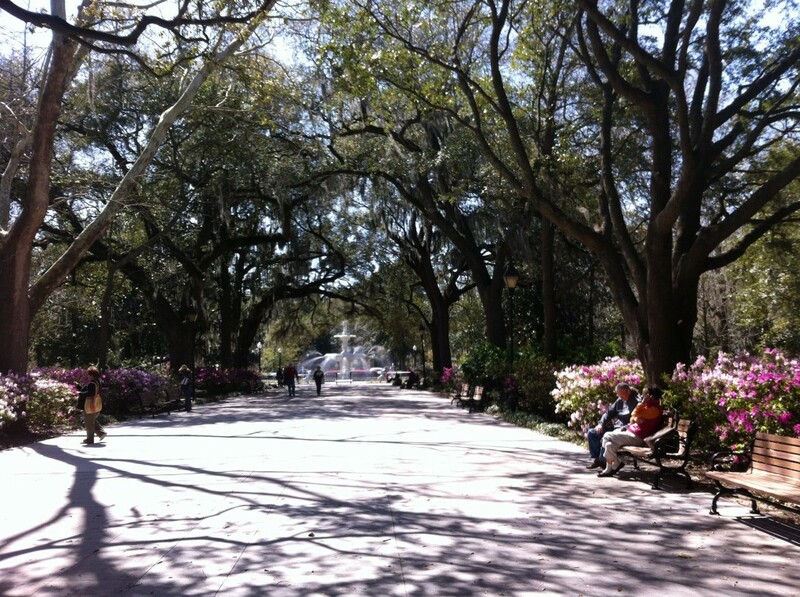 Flooded with blooming azaleas in an array of colors — pink, purple, fuchsia, etc., Savannah was breathtakingly beautiful in March. Clusters and clusters of Spanish-moss, an air plant with no roots, hung from the oak trees. As their long, thin stems swayed delicately in the wind, time appeared to have lingered in the 17th century. Voted by Travel + Leisure as one of the most romantic U.S. cities, Savannah proved to be a true delight. For a taste of true Southern hospitality, why not try staying at a Bed & Breakfast instead. Framed by blooming azaleas and sweeping Spanish moss, time, appears to linger in the 17th century in Savannah. I stayed in four B&Bs total. The four locations, with prices ranging from low $80 to high $350, are located near Forsyth Park. In terms of best luxury for your buck, I recommend Hamilton Turner Inn. In addition to inn owner Jim offering you coffee at breakfast — “May I offer you more coffee” — the inn puts fresh baked chocolate chip cookies in your room. 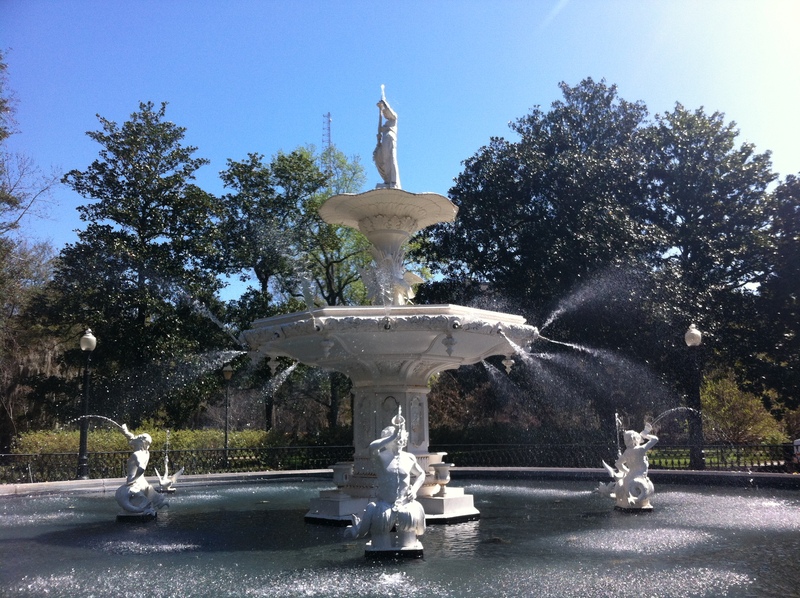 In Savannah, everything (geographically-speaking) is governed by Forsyth Park, a must-see tourist attraction. This entry was posted in Photography, Travel, United States + Canada on March 3, 2013 by Sherry.